As an athlete, exercise is essential for strengthening the muscles and building stamina, as well as increasing overall wellness and fitness but, overworking the body can generate negative complications in the future. 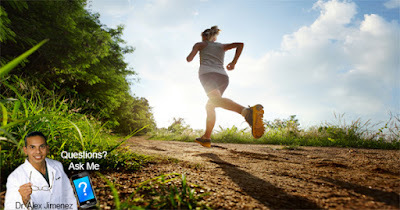 An estimated 80 percent of runners are injured each year, most of these injuries being caused by constant stress and added pressure on the muscles for lengthened periods of time. The 5 most recurrent types of running injuries primarily involving the legs and feet. The hamstring muscles are a sizable group of muscles found on the back of the thigh. These function together by extending the hip joints and bending the knee joints. The hamstring is significantly used during running and a hamstring muscle tear can result from overuse, failing to warm-up before physical activities, or stretching the muscles beyond their range of motion. The severity of a hamstring injury ranges from a minor tear with mild pain, discomfort, and tightness, to a severe tear, where the muscle has been significantly or completely torn, causing severe pain, discomfort, and considerable swelling, bruising, and limited mobility. An anterior cruciate ligament, or ACL, tear is identified as one of the most common type of knee injuries, developing during high demand sports where quick movements of the legs are most frequent. An ACL injury can result in different ways, although mostly in non-contact related injuries. Incorrectly landing from a jump or stopping abruptly from a run can cause the ligament to tear. Studies have shown that female athletes have a higher rate of experiencing an anterior cruciate ligament tear than men. Shin splints is a medical term used to describe a variety of symptoms located along the tibia, or shin bone and the surrounding muscles. Shin splints occur when the muscle and bone tissue in the leg are overused from constant and repetitive activity. Excessive high impact exercises, like those common while running, add stress to the tibia, developing shin splints and its familiar symptoms of pain. Muscle strains, such as a quadratus lumborum muscle strain, are considered a major cause for the all-too-familiar symptoms of pain and discomfort while participating in physical activity. The quadratus lumborum muscle is a large, triangular-shaped, muscle located deep on each side of the lower back. The thick muscular tissue allows movement of the lumbar spine and torso to move laterally from side to side as well as extend and stabilize the lower spine and posture. The symptoms of this type of injury range from mild to severe including different grades of restricted mobility and a burning sensation on the muscles. When tension begins to build up on the plantar fascia from overexertion, small tears develop on the band of tissue resulting in irritation that causes inflammation and pain known as plantar fasciitis. The plantar fascia is a thick cord of connective tissue, located along the bottom of the foot, that runs from the heel and connects to the base of the toes. The fascia functions as a cushion to support the arch of the foot. Improperly fitting shoes, wearing flip-flops, or going barefoot all while walking or standing on hard surfaces for extended periods of time can also create plantar fasciitis.